CINCINNATI, Ohio — Marion Alice Brown, 84, of Cincinnati, Ohio, passed away peacefully on September 1, 2018, in the comfort of her home, surrounded by her family and her beloved dogs. She was born to William and Hilda (Lantto) Wisti in a log cabin in Chassell. She graduated from Chassell High School with the Class of 1951, and went on to earn her doctorate in history. 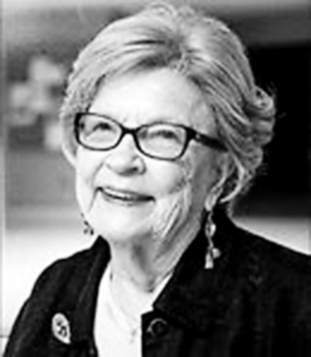 Marion was a professor for over 30 years at the University of Cincinnati, and was a Fulbright Scholar in Finland, where she was a professor at the University of Tampere. Marion is survived by her children, Connie (Ed) Taylor, Valerie (Mark) Zummo, and Scott (Laurie Linnemann) Brown; her brother, Gordon (Edith) Wisti; her sisters-in-law, Ruth Wisti and Inez Storey; her brother-in-law, Anthony Brown; her grandchildren, Eddie (Melissa) Taylor, Carla Taylor, Maija (Zac Petit) Zummo, David Zummo, and Eli Meiners; her great-grandchildren, Emmett and Keegan Meiners; and her beloved dogs, Sophie, Lola, and Rocky. She was preceded in death by her husband of 57 years, William J. Brown; her brothers, Ted, Andrew and Michael Wisti; and her sisters-in-law, Irene and Lori Wisti. A memorial service was held at 1 p.m. on Thursday, September 6, 2018, at Good Shepherd Lutheran Church, 7701 Kenwood Road, 45236. Marion will be laid to rest at Spring Grove Cemetery. In lieu of flowers, please direct memorials to Queen City Hospice. Online condolences can be left at SpringGrove.org.